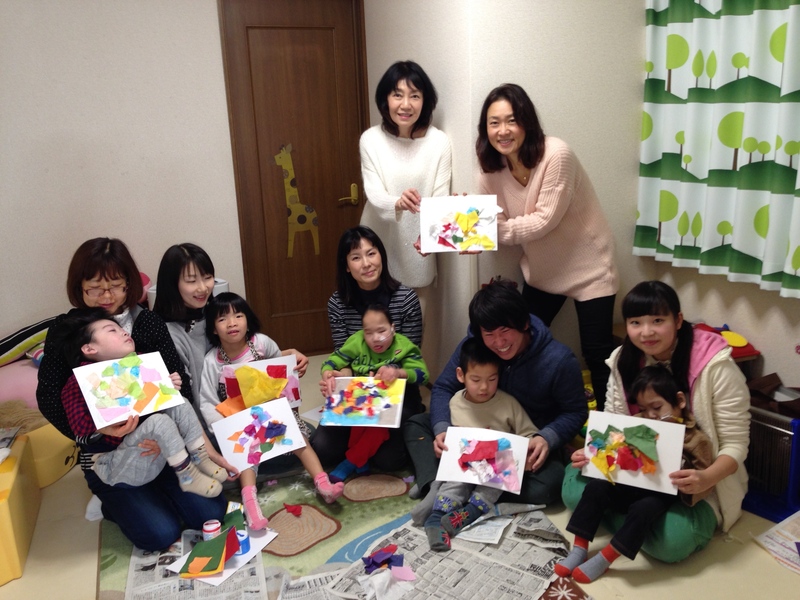 Collage craft artists unit “Laki Ohana” joined SHJ and started visiting children today. 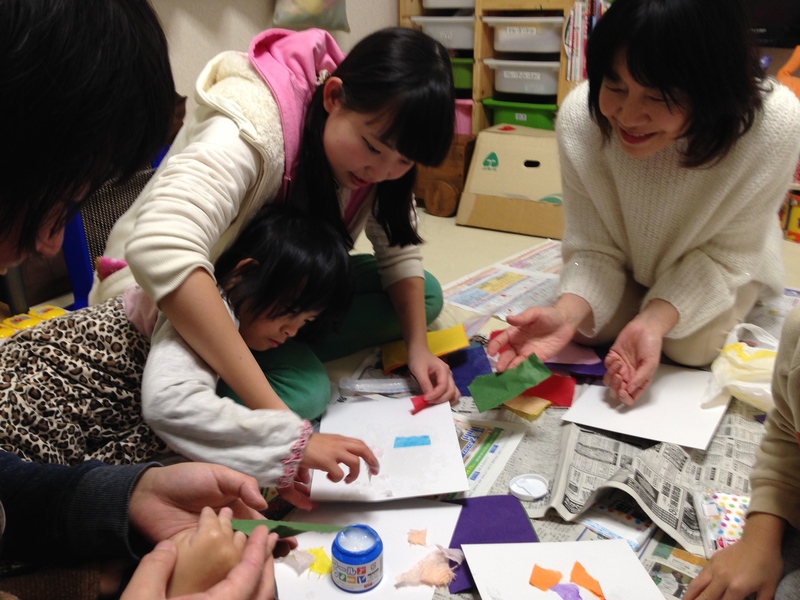 Children enjoyed the touch and sound of tearing washi by hand. 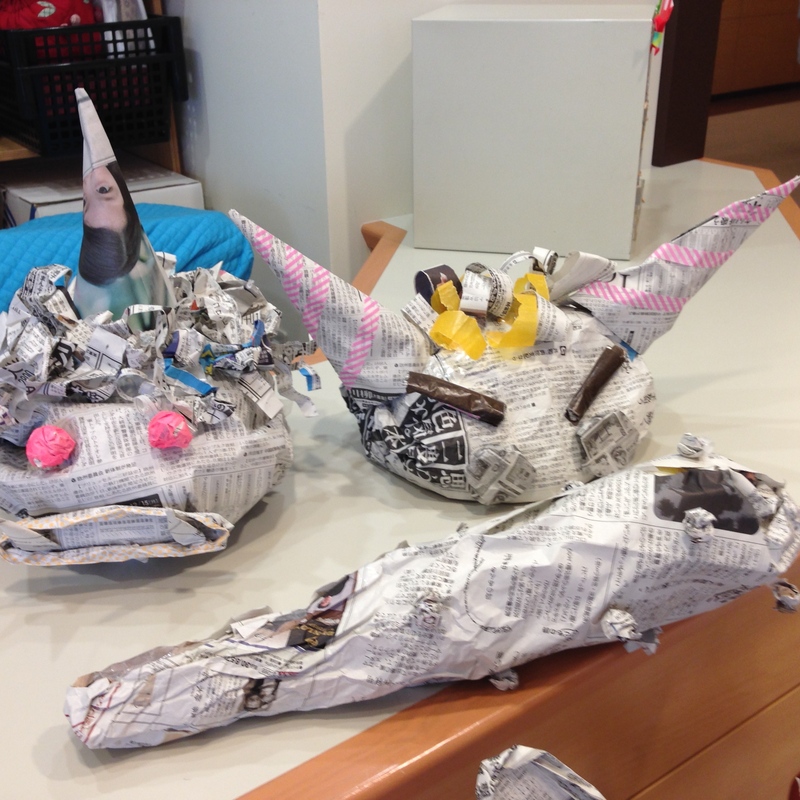 Also the sticky and slimy feel of glue was something exiciting to them. The works “Sun”, were all colorful. Some were dynamic and some were very soft and tender. 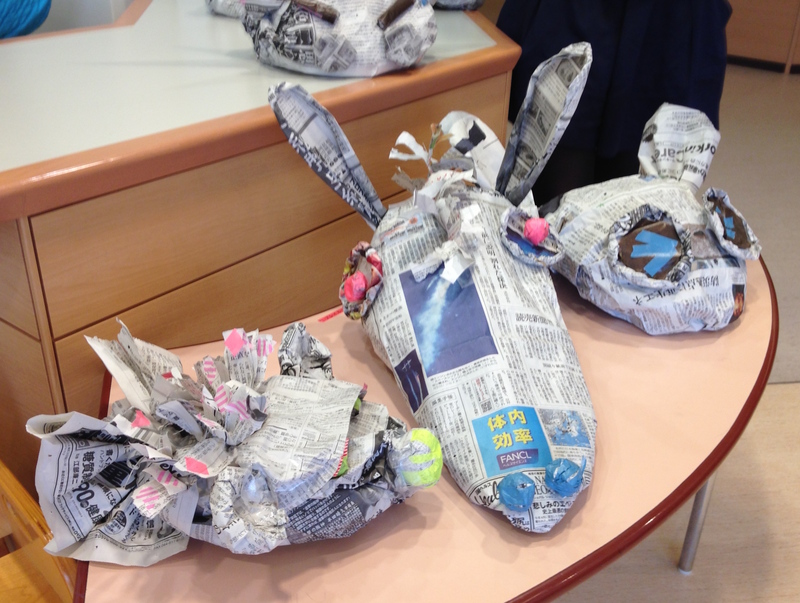 Newspaper is so easy to be used to make something one wants to make. Regardless of wether one is good at or not, everyone can enjoy creating his/her favorite animals or even monsters! Yes! It’s goblin’s season! Ogre, go out! Fortune, come inside! 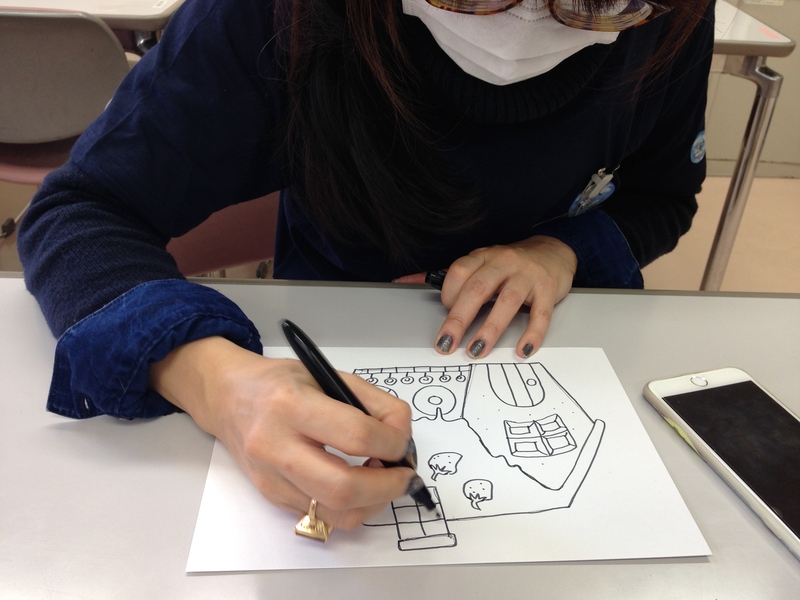 Coloring Mari-san’s original drawing, children realized some bugs and animals hid in the picuture and enjoy finding them and coloring them. 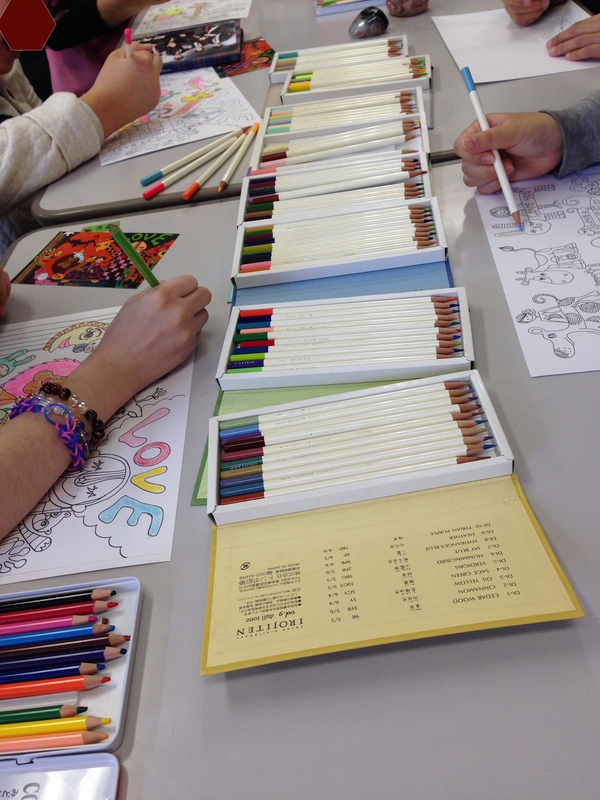 Boys concentlated in coloring but girls moved their hands coloring and at the same time they were busy with chatting. 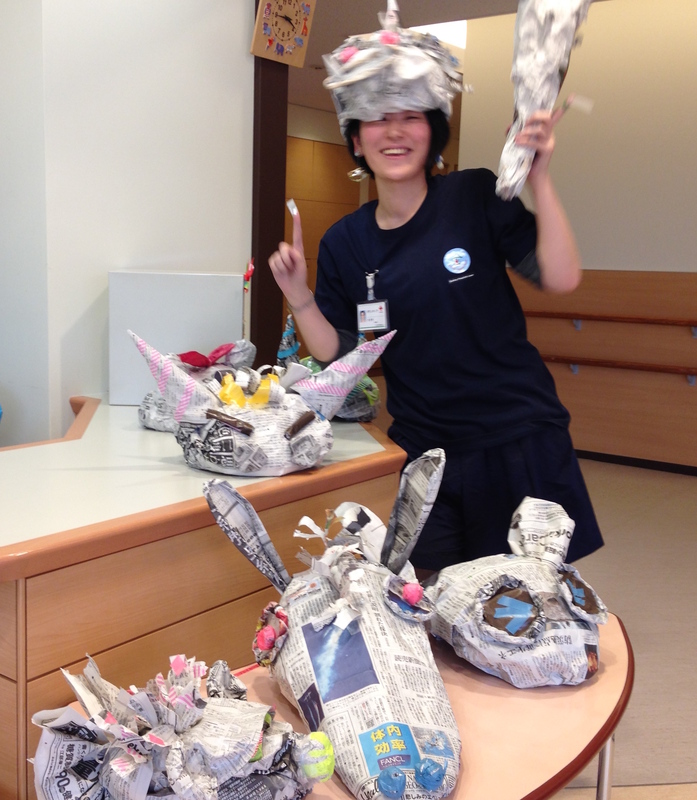 The playroom was filled with such cheerful laughter by children. 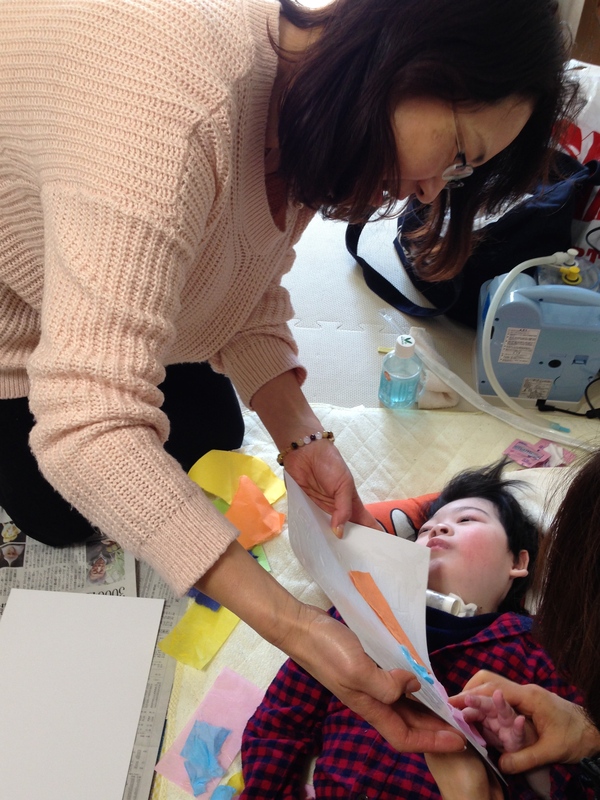 “It’s been a long time since I saw my daughter laughing”, one of the parents said. A father joined the performance and he often failed, which made children laugh out. Kids sometimes loves adults failure! 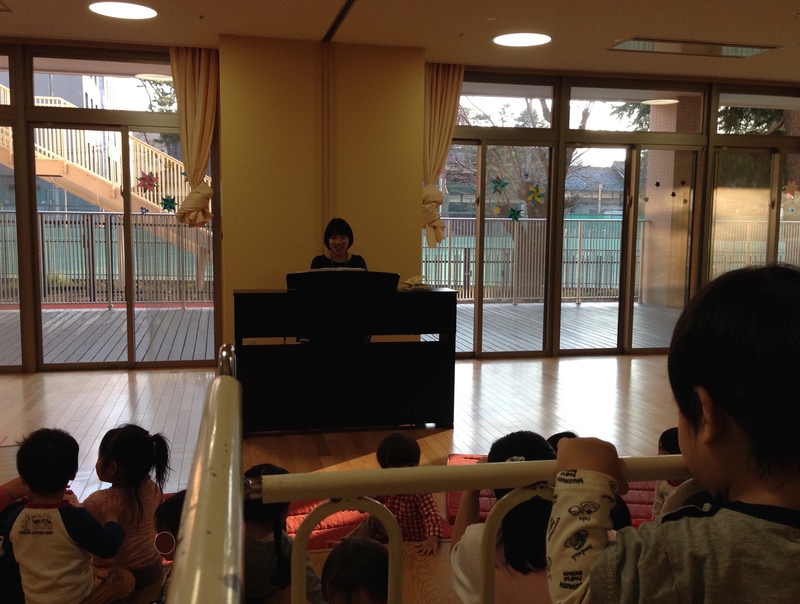 Mari-san played the piano and sang all the kids’ favorite songs. Beautiful piano introduction made them get excited and soon they got enchanted by her clear voice. 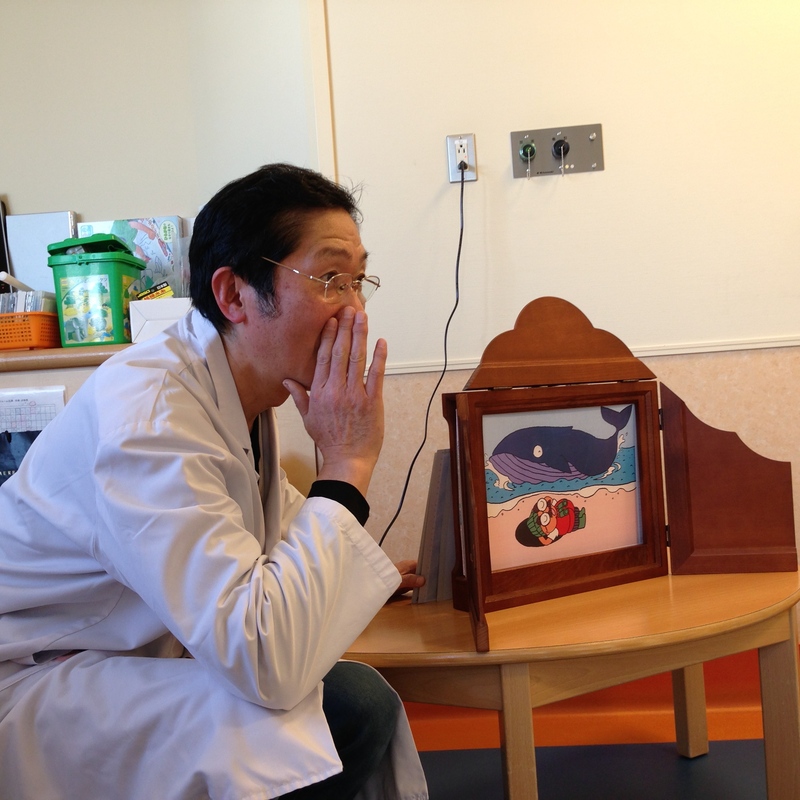 The performance was both in the pediatric ward and in the infat home. 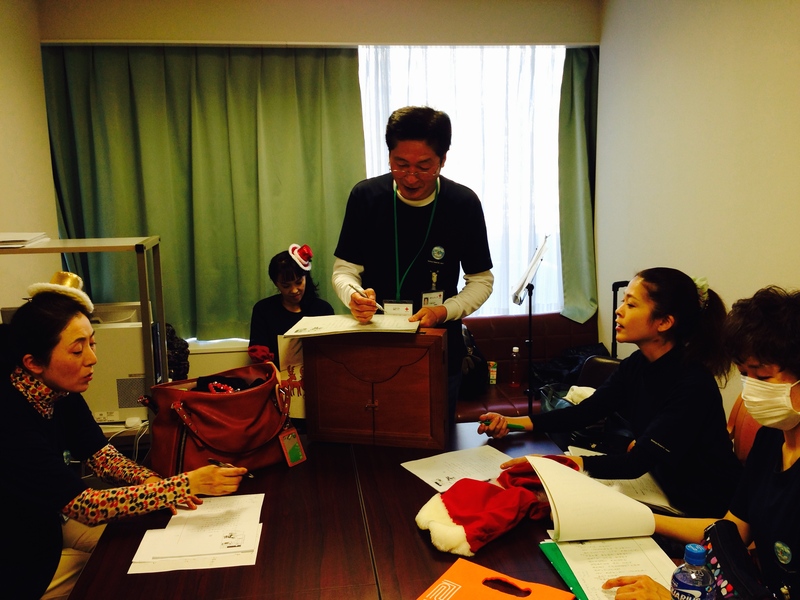 To protect the children with low immunity, nothing can be brought into the clean ward. 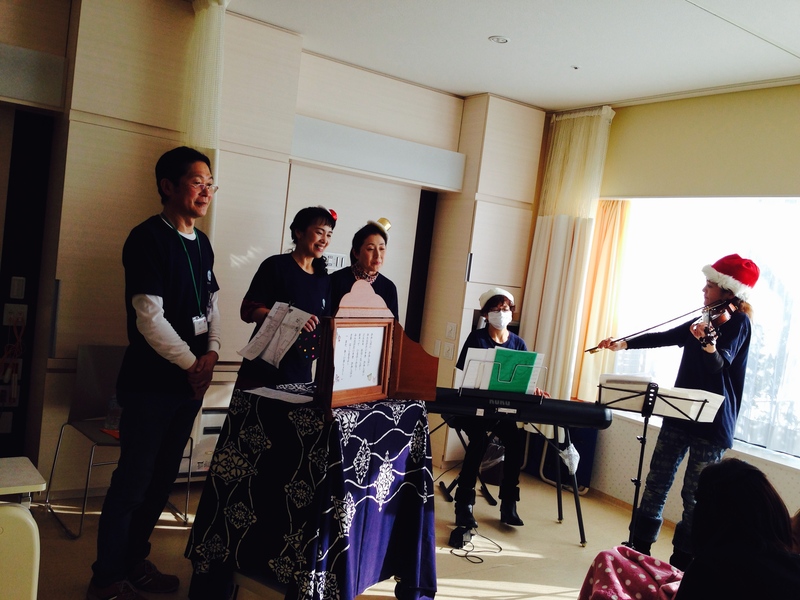 The kamishibai stage was made for SHJ by the supply division of the hospital. 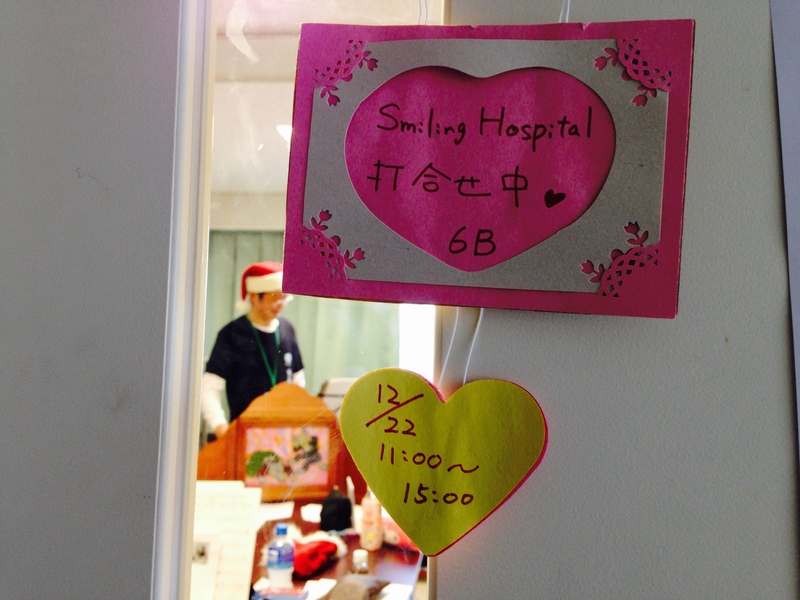 The kamishibai cards were made by Ittoku-san himself to be kept inside the ward never to be used outside the ward. 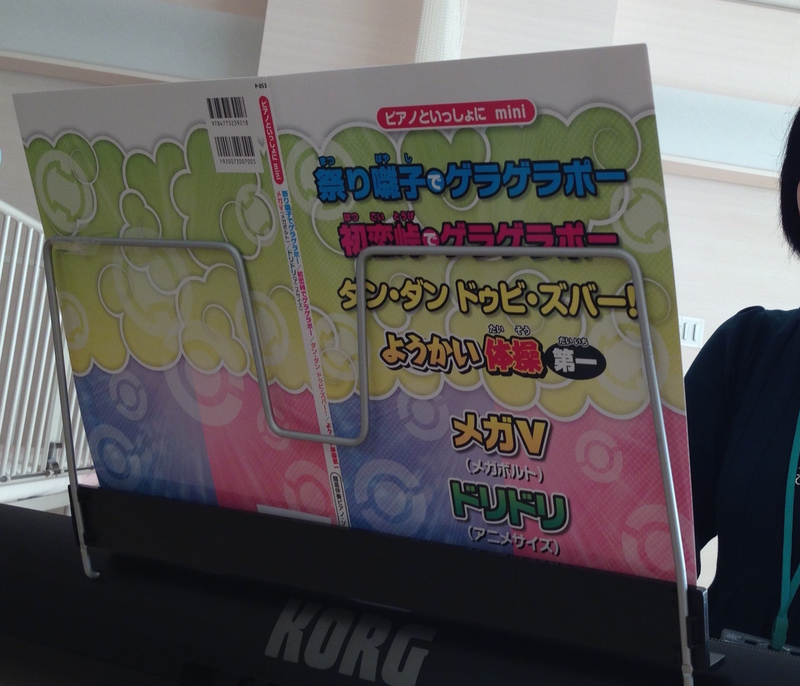 The first activity of the new year is Mari-san’s recital, music quiz & request show. 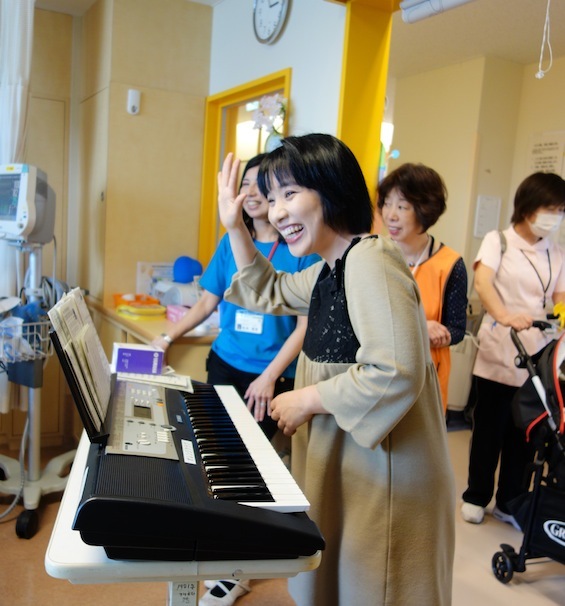 Every kind of music Mari-san can sing playing the piano, which makes every child happy and makes the wards cheerful. 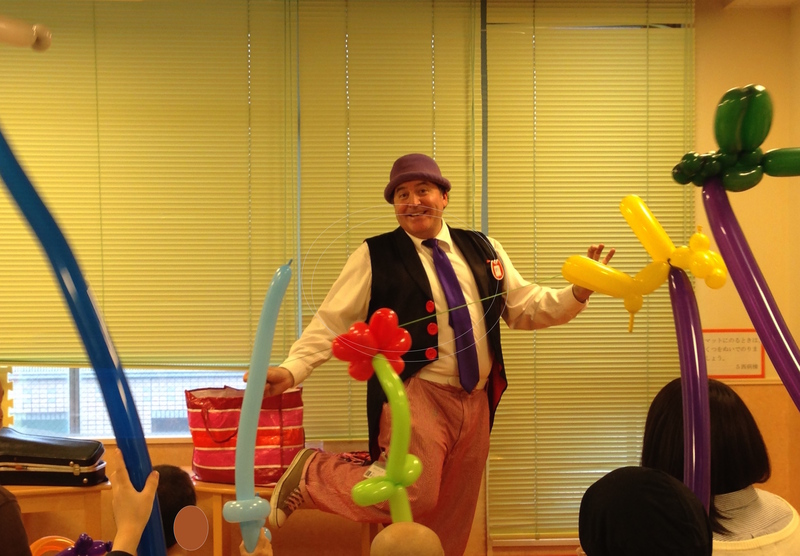 We SHJ hope to put a lot more smiles in all the pediatric wards!